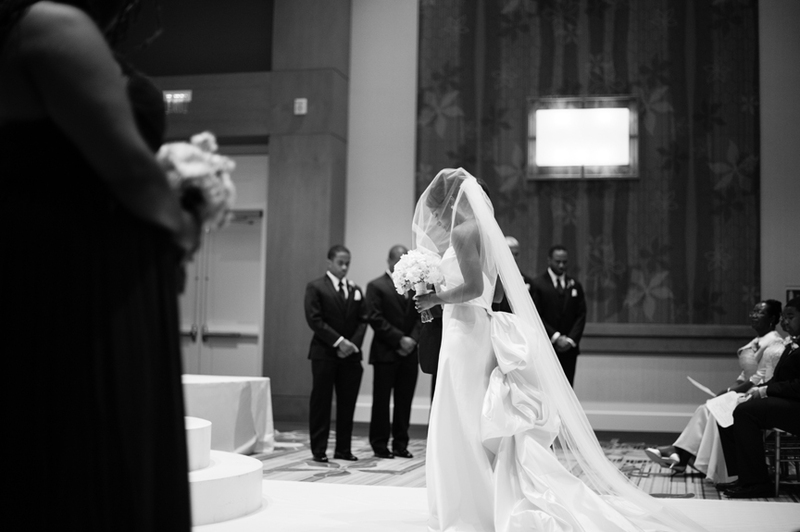 Photography by Kristen Weaver. 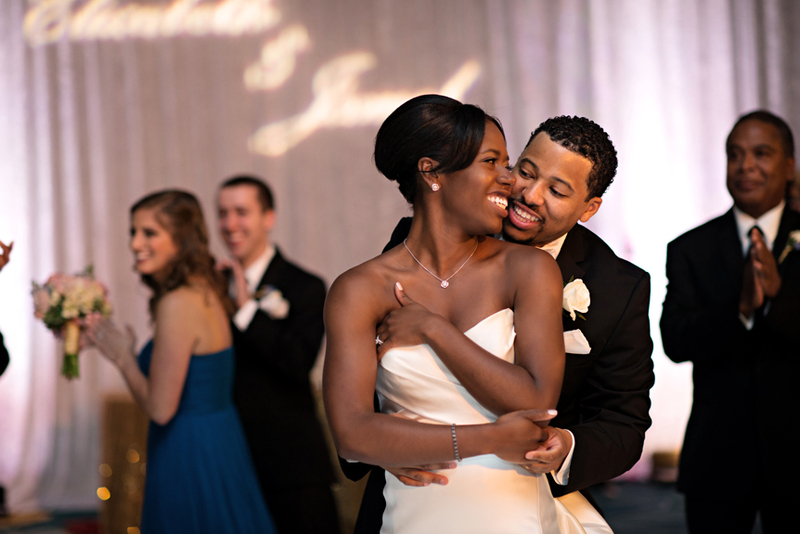 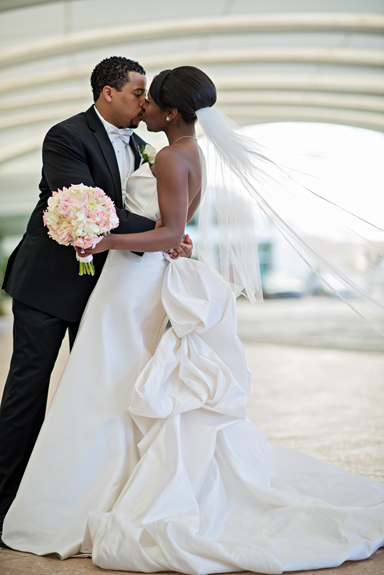 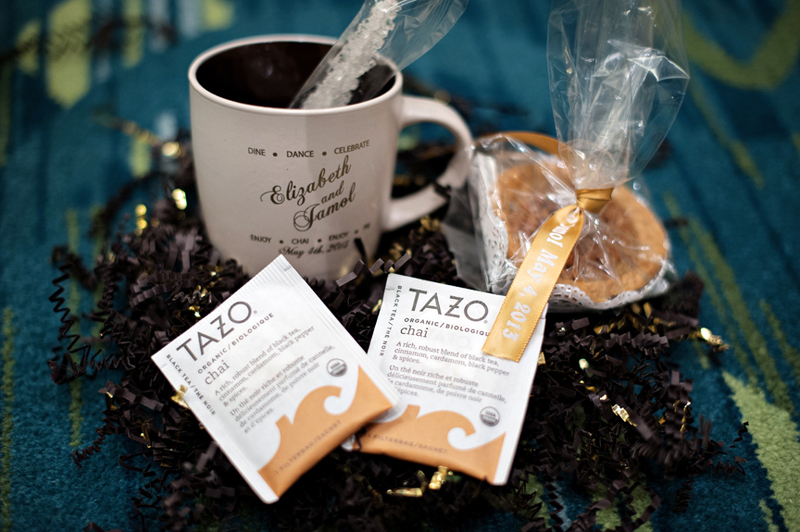 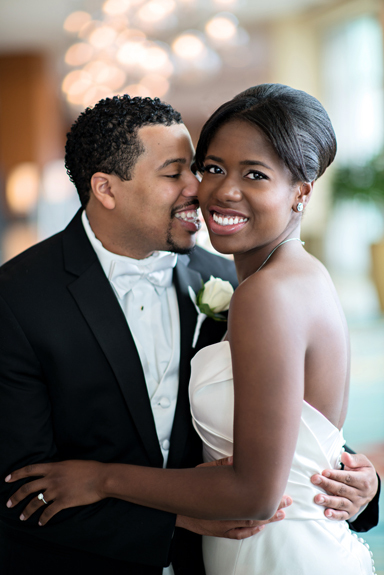 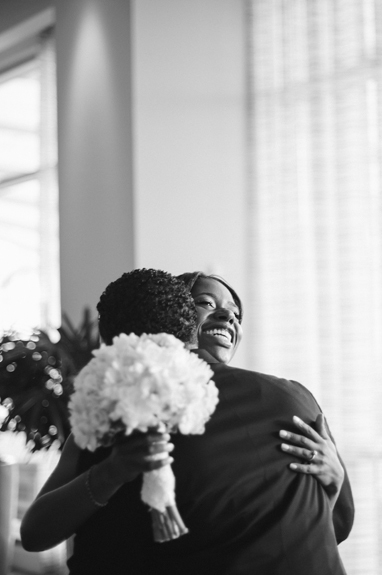 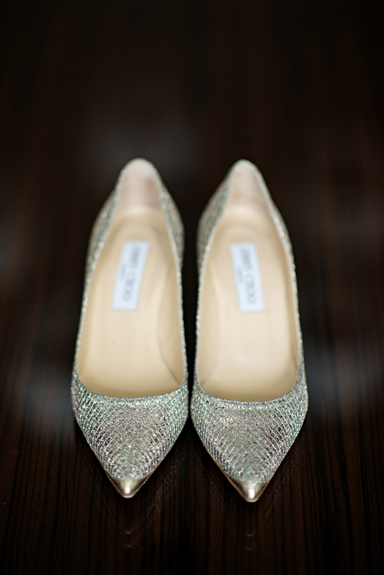 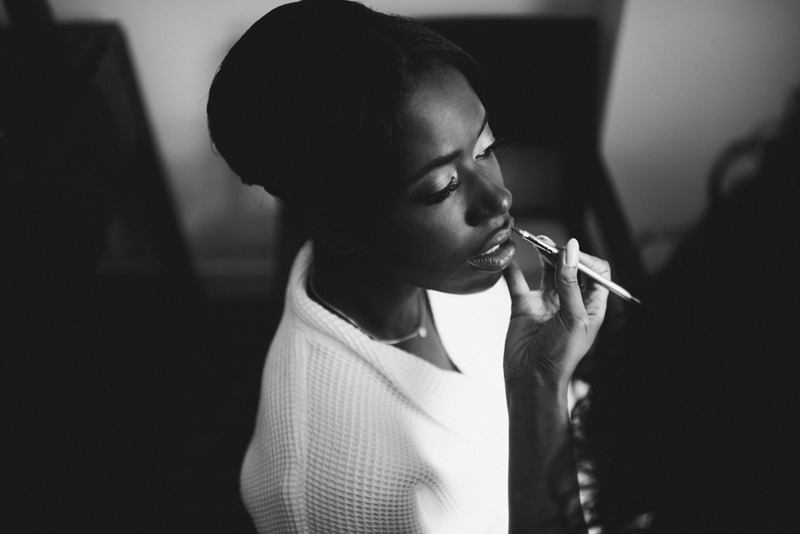 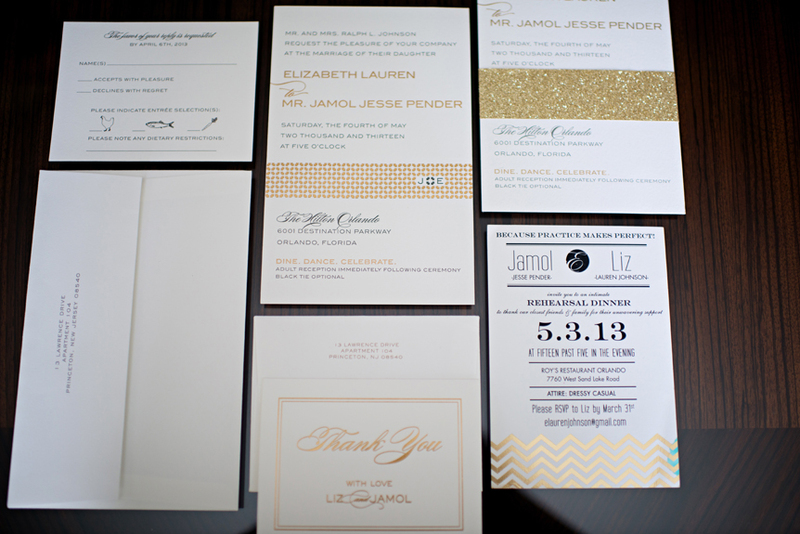 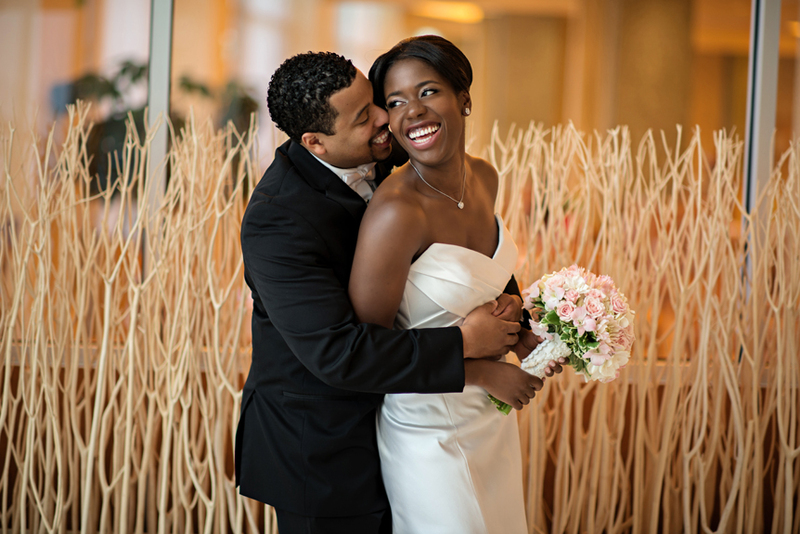 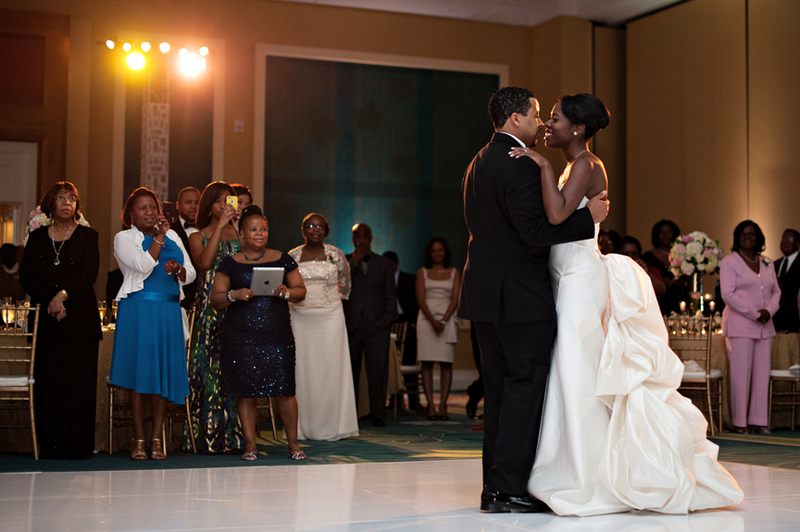 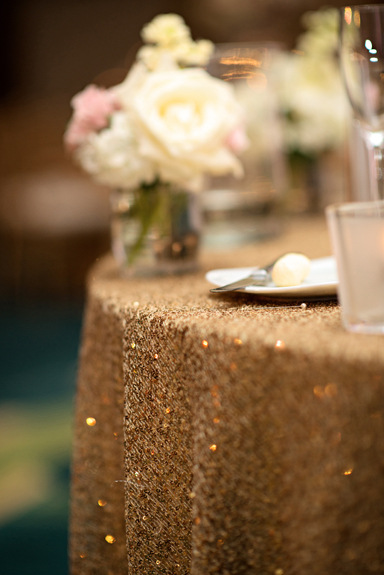 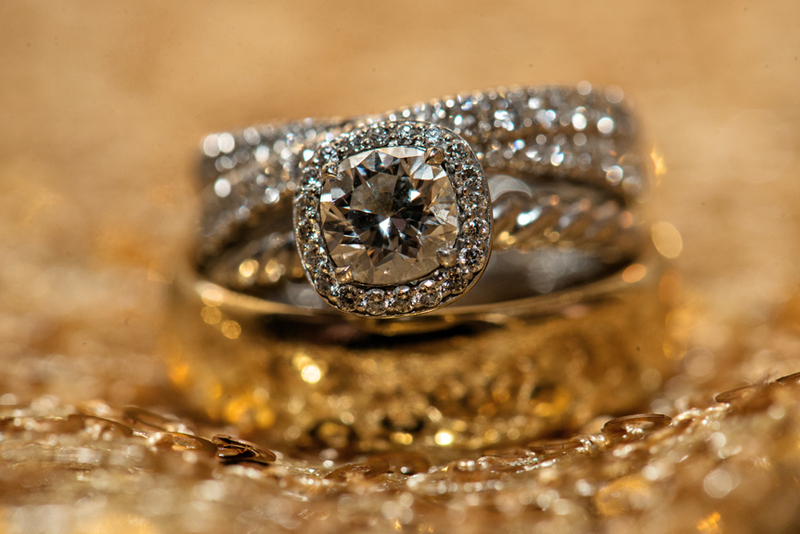 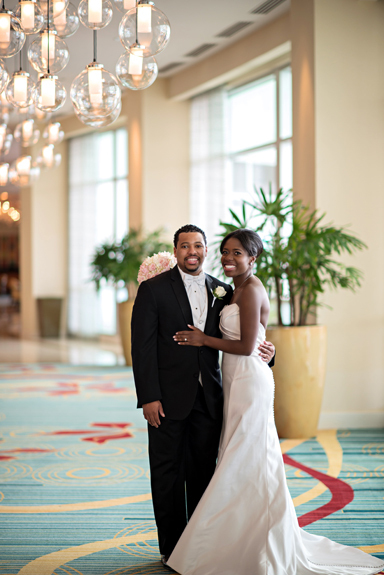 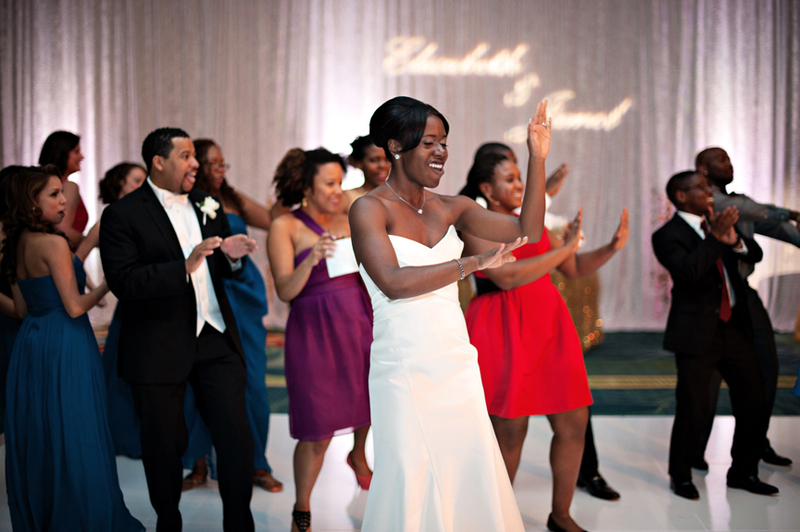 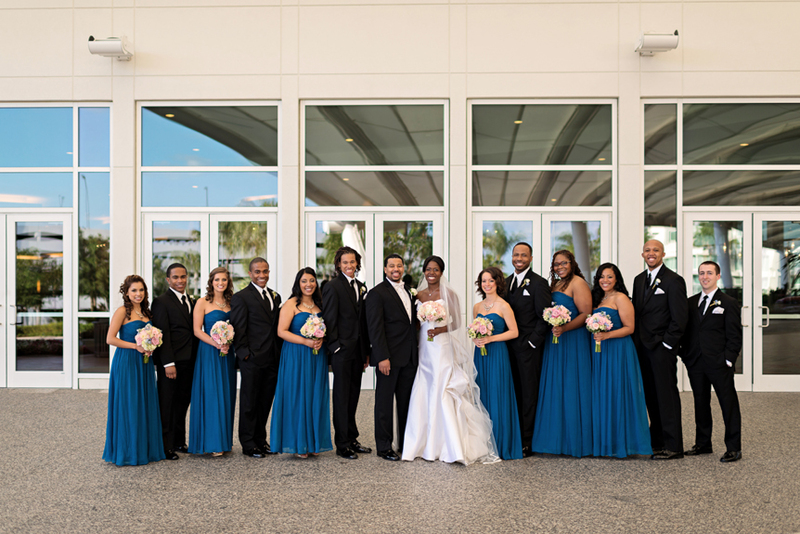 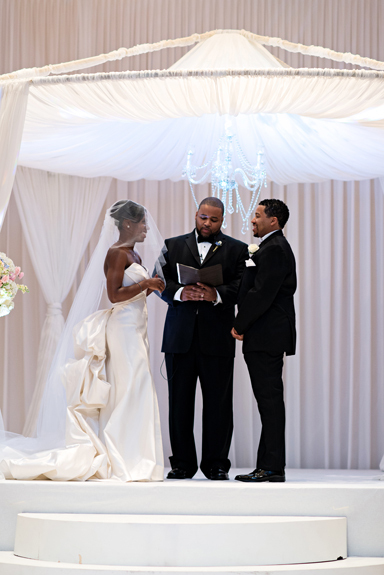 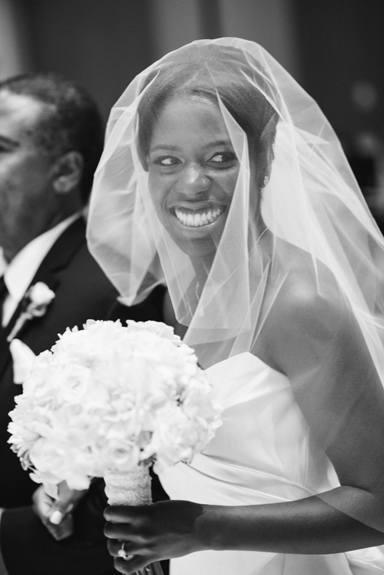 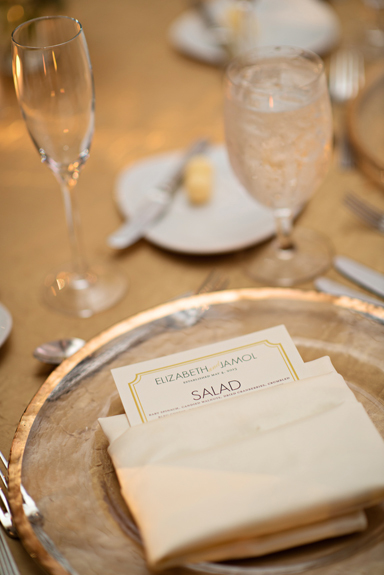 The Hilton Orlando served as the perfect setting for Liz and Jamol’s sophisticated Soiree. 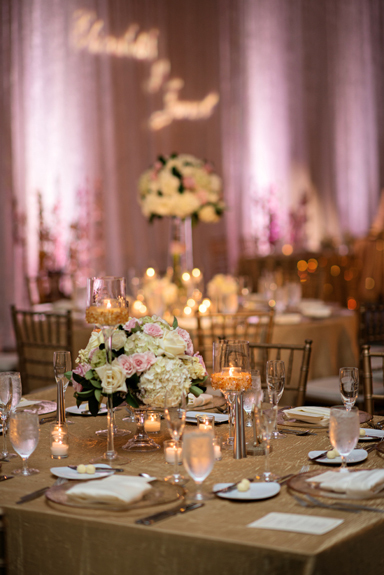 Sticking with a color palette of gold’s, ivories, and Light pinks, with a pop of peacock blue, the ballrooms were transformed into a very formal setting. 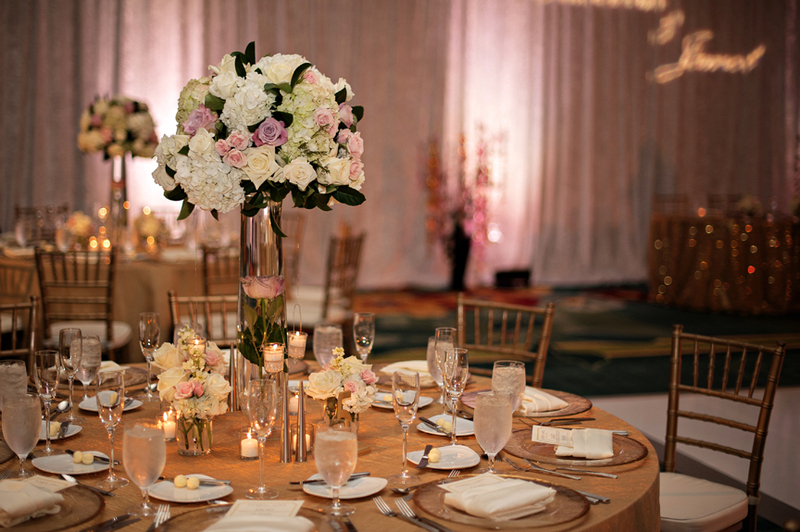 Occasions by Shangrila provided pipe and drape backdrop and a canopy for our couple to marry under. 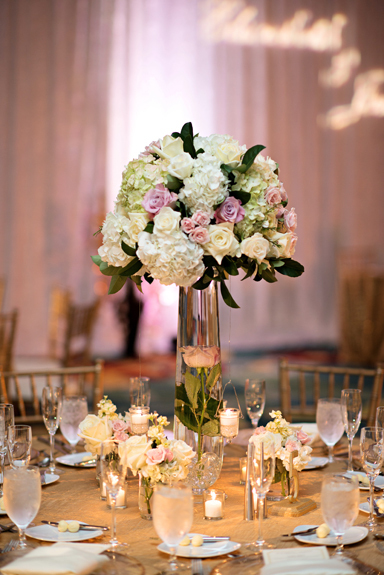 Accented with floral arrangements of white hydrangea, cream roses, and cream football mums provided by Country Club Floral, the ceremony site evoked drama as guests entered. 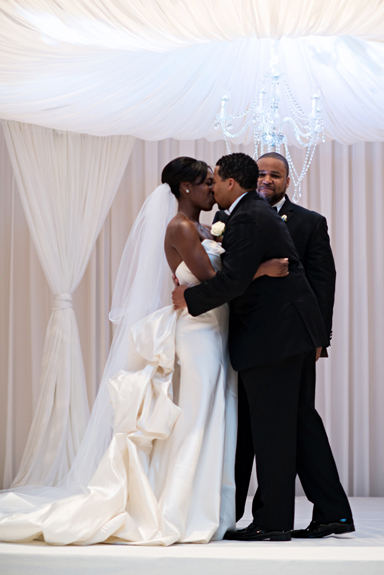 The reception room included pipe and drape designed to take guests breath away as they entered. 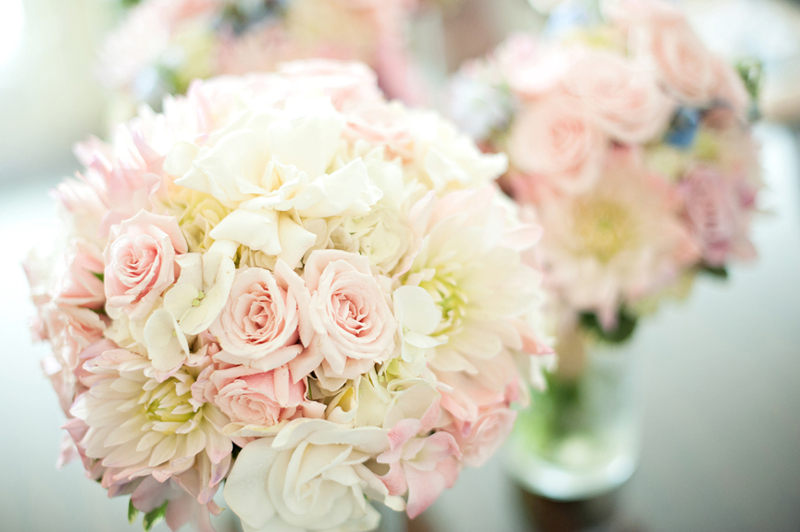 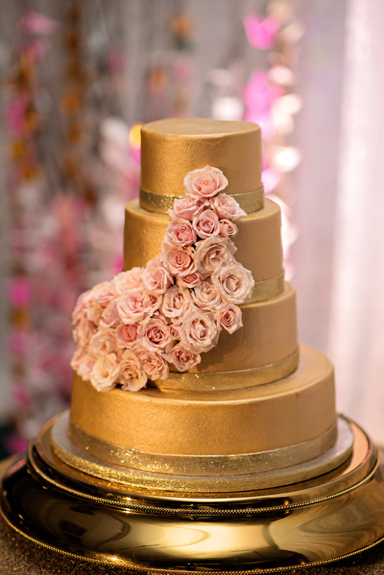 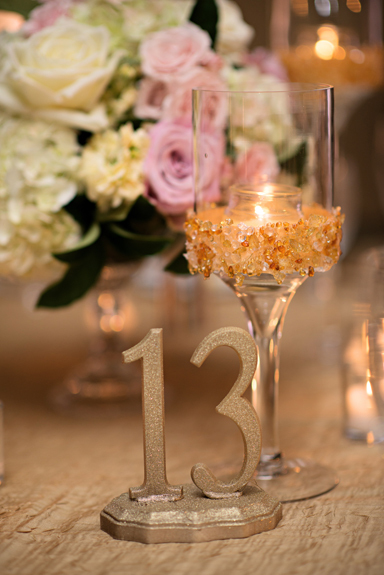 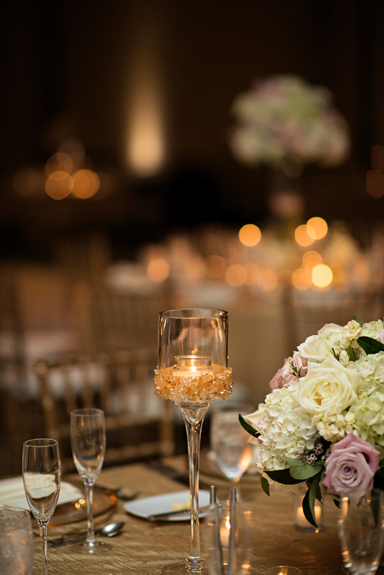 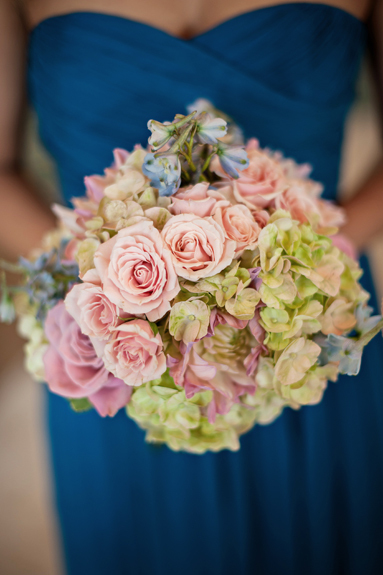 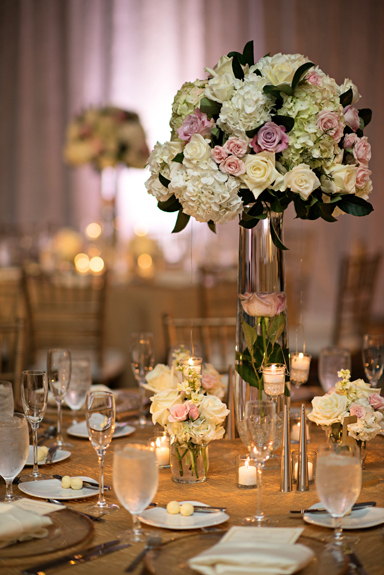 Each table was covered in a gold linen and centerpieces included gold and white hydrangea and pink roses. 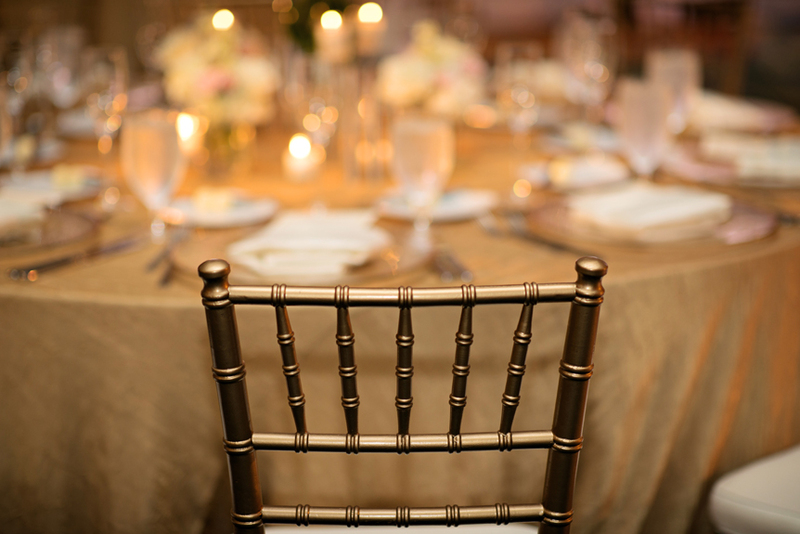 Details to drool over included a gold beaded charger, gold table numbers, and gold lettered menu cards, and gold chiavari chairs that completed the look.